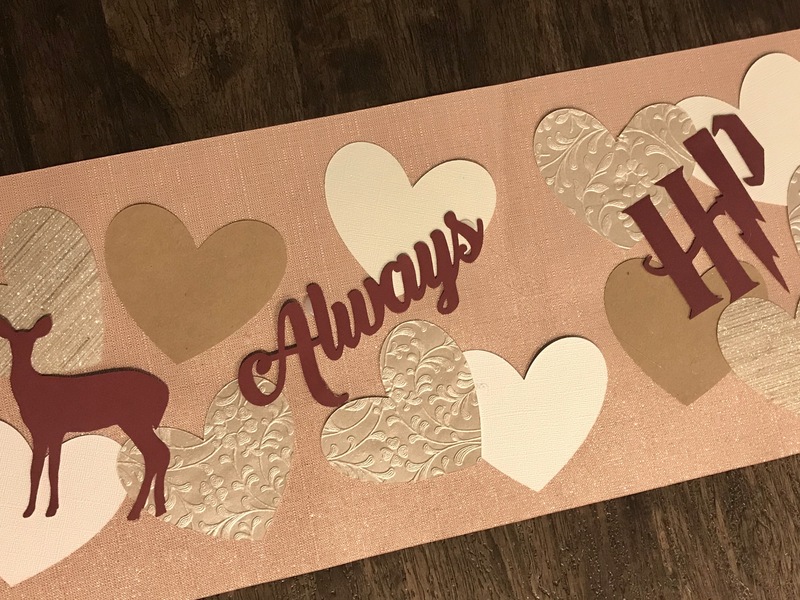 Next, cut hearts using this Cricut Design Space project. You’ll need enough to fill the length of your table runner, so cut 6-8 pieces of 12×12 paper. After the hearts are cut and weeded off your grip mat, place the hearts on your fabric, re-arranging them until you’re happy with their placement. 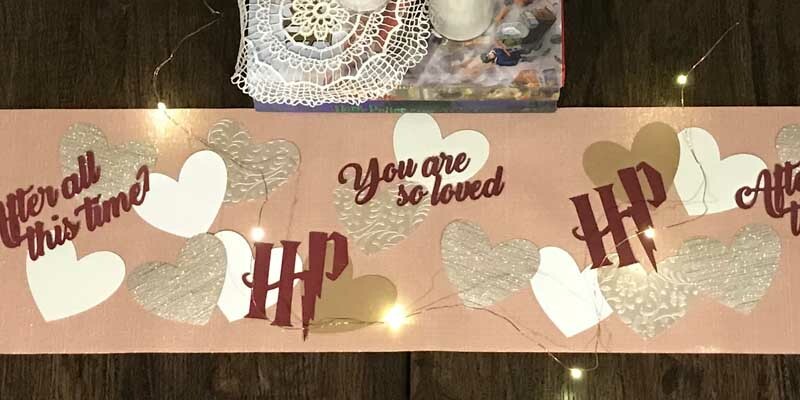 For the Harry Potter quotes and logo, I chose to make mine out of a dark burgundy cardstock paper, keeping them all on this material so that they would pop against my lighter colored hearts and fabric. 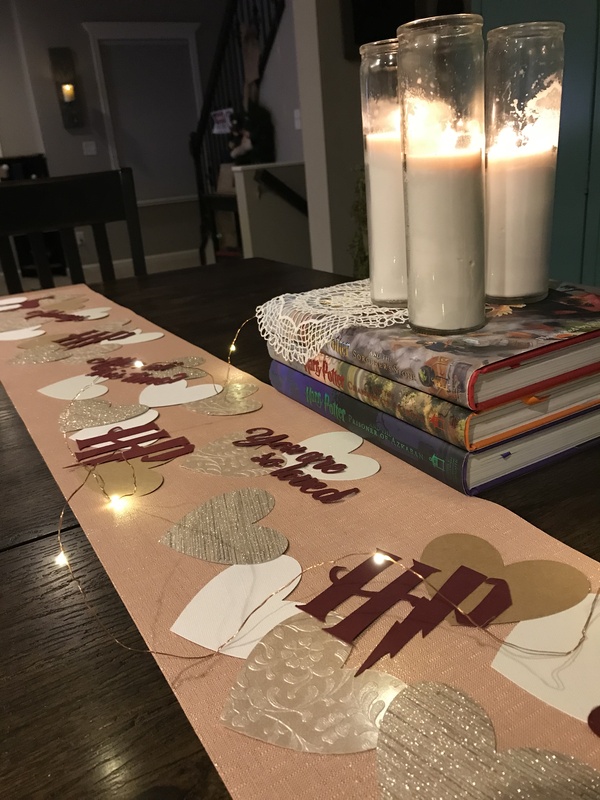 Download the Harry Potter quote and logo files below, and load them into your Cricut Design Space. Feel free to make them as large or small as you’d like. 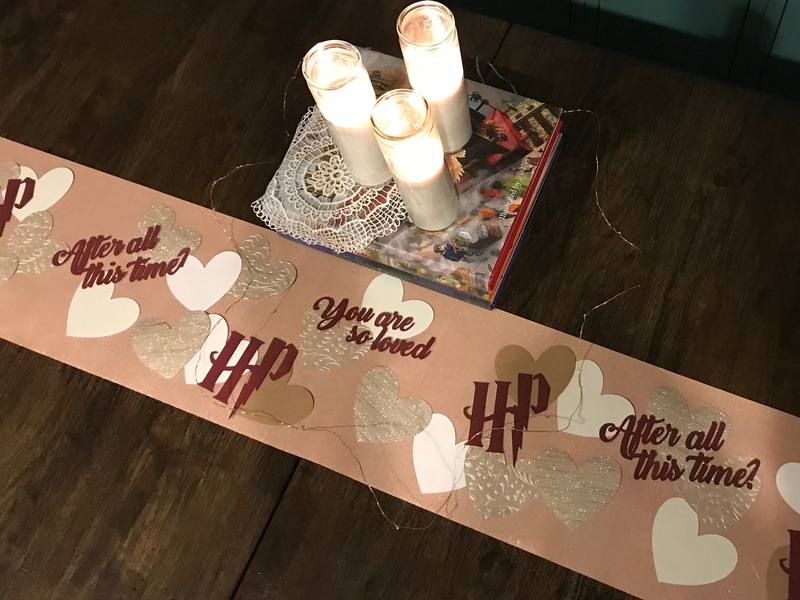 For my table runner, the quotes were all between 6-6.5 inches wide, while the Harry Potter logo and doe patronus were about 3.5 inches wide. Cut the Harry Potter logo and quote files from your colored cardstock. After weeding the cut pieces off of your grip mat, place them on your table runner, adjusting their spacing until you are happy with their placement. 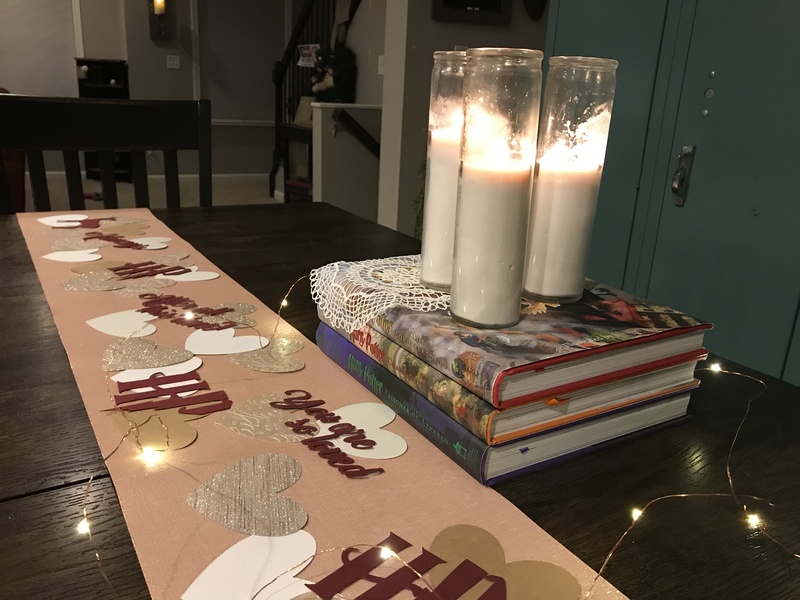 Once you have finalized the placement of pieces on your table runner, heat up your hot glue gun and carefully adhere each piece to the fabric. Note: make sure to place a piece of cardboard underneath your table runner while working with the hot glue. 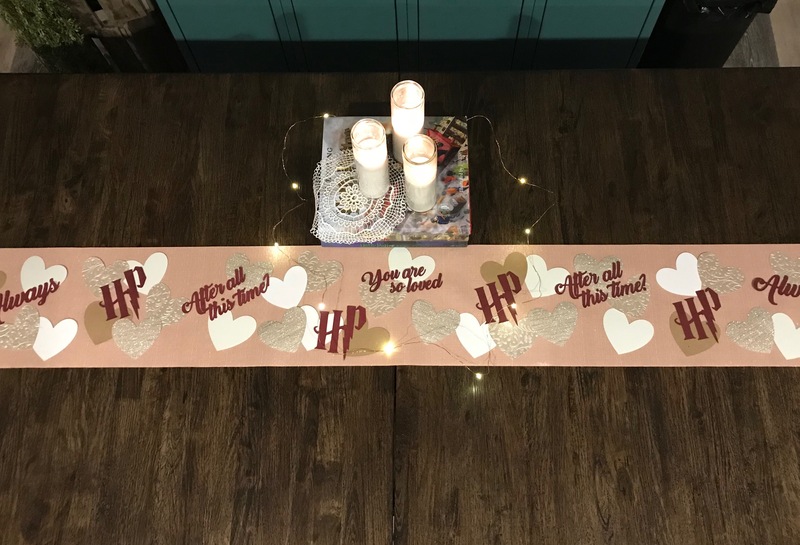 Allow a few moments to dry, and you’ve got yourself a Harry Potter table runner — made with love (and a bit of magic) for Valentine’s Day. 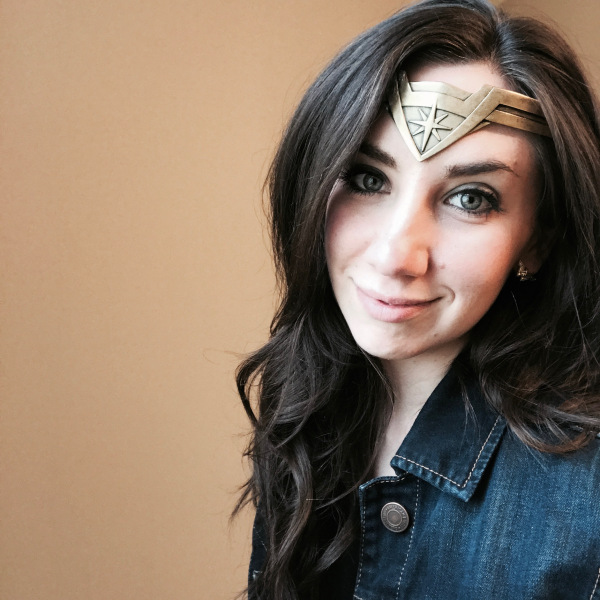 Want more magical DIYs and posts? Stay tuned! My blogger bestie from Vicky Hearts TV and I are planning an exciting, magical collaboration. Until the big announcement, wands at the ready! Oh, that’s so pretty! I usually don’t do runners because I have four kids and they tend to be very grabby, but I love decorating my mantle and I haven’t really done anything with it since switching to winter from Christmas. 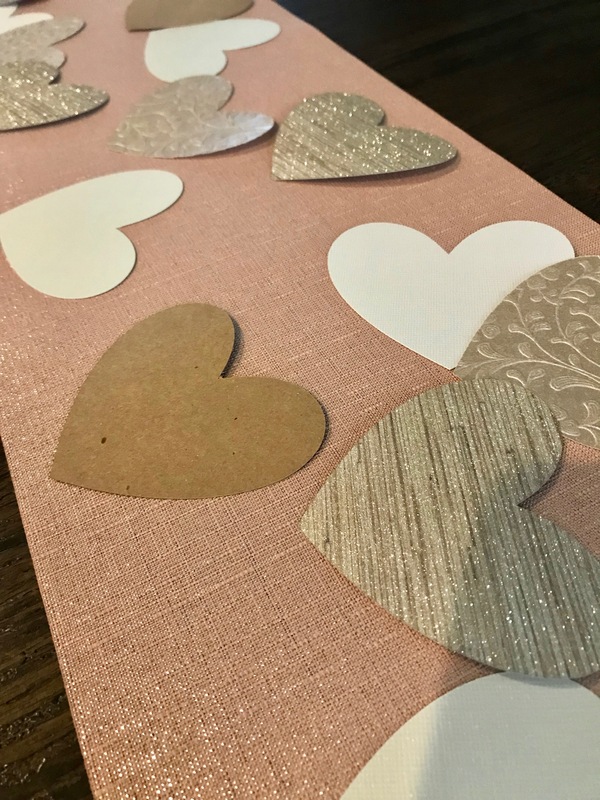 I think I’m going to use some of these ideas to make it Valentine themed in prep for spring! How awesome is this! I love the silver doe and the “Always” quote. Such a cute idea for Valentine’s Day! This is so cute!! I wish I was this creative haha my husband and I love Harry Potter. One of the best series ever! Thanks! I love Harry Potter and this is seriously amazing. I need to pin this. Ok I need to make one of these ASAP. This is amazing! OMG this is so cute! It came out so great, LOVE this idea!! Thanks girl! It was a fun decoration to make! 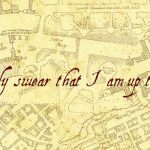 The perfect excuse to have a HP party! Okay, now I’m thinking I need to throw a 100% Harry Potter party asap. 25th birthday maybe? These could totally be used for that even if I don’t do it for V-Day! Love! THIS IS SO COOL! 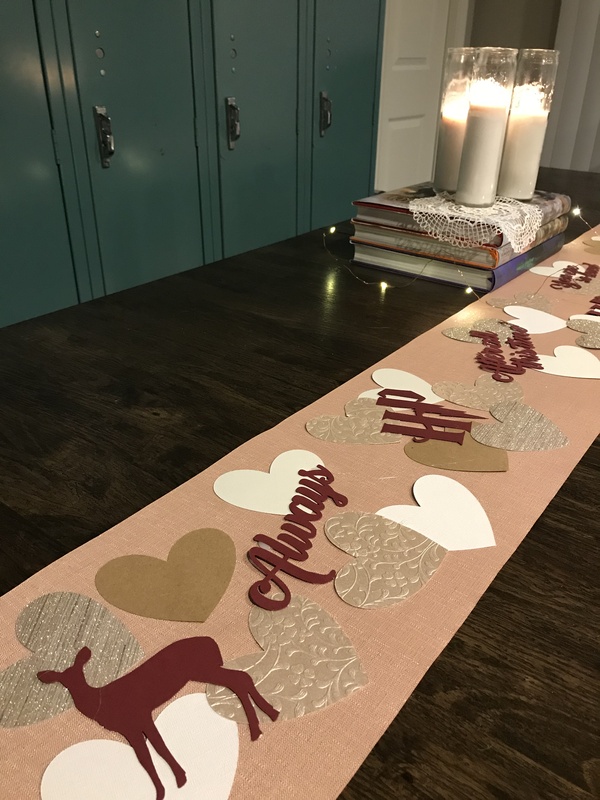 I’ve NEVER made a table runner, but V-day is the perfect time to do it! this is so awesome!! !